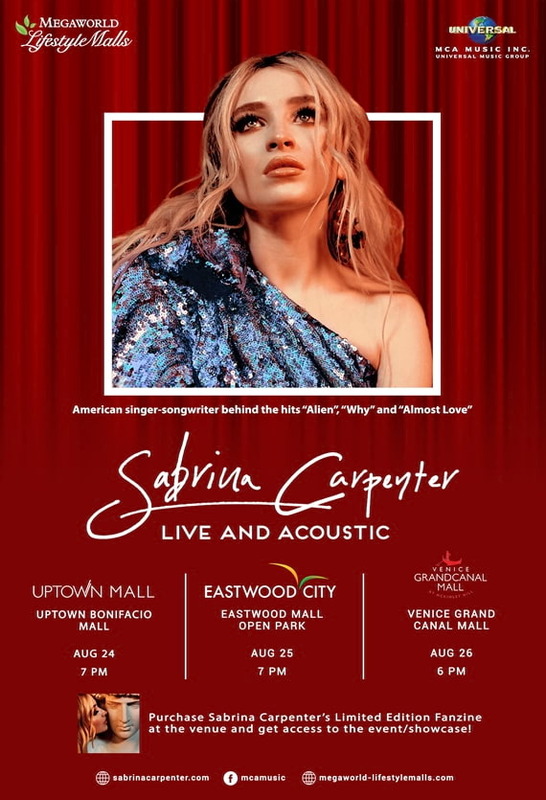 MCA MUSIC (Universal Music Philippines) and Megaworld Lifestyle Malls proudly present “Sabrina Carpenter: Live and Acoustic!” Sabrina Carpenter is set to take the spotlight this August for a series of promotional tours for her brand new single “Almost Love” at Megaworld Lifestyle Malls. The 19-year-old American singer-songwriter is behind the international chart-topping singles, “Why,” “Thumbs,” and most recently, Billboard Dance Club’s No. 1 Song “Alien” featuring multi-platinum selling UK DJ/Producer/Songwriter, Jonas Blue. Purchase the Limited Edition Fanzine, which includes a Download Code of her singles, at the Astroplus/Astrovision selling booth during the showcase dates and get access to the “Sabrina Carpenter: Live and Acoustic” event. 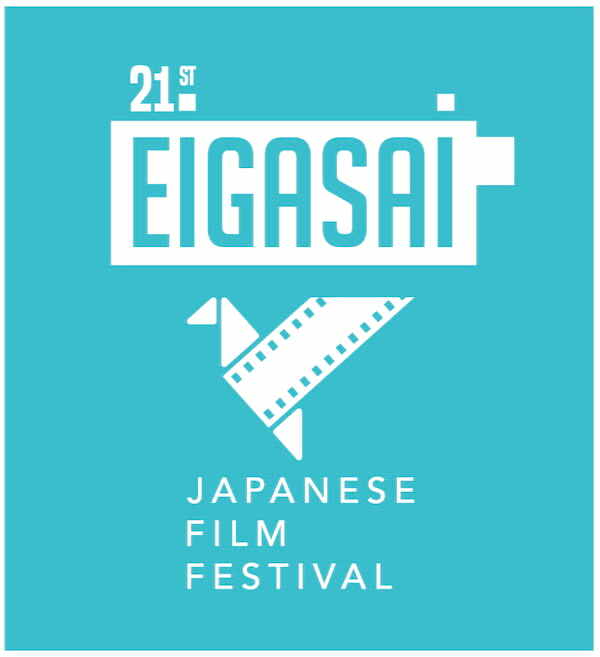 The Japan Foundation, Manila is pleased to announce the full lineup of films, guests and special talks for this year’s Japanese Film Festival, more popularly known as EIGASAI. In honor of the Philippine-Japan Friendship Month, EIGASAI’s 21st edition runs from July 4 to August 26, 2018 ﹣with fifteen full-feature films of diverse genres selected for more than 100 screenings across five major cities nationwide. This year’s film festival is set to be unique as it collaborates with other Japan Foundation arts, cultural and dialogue projects. 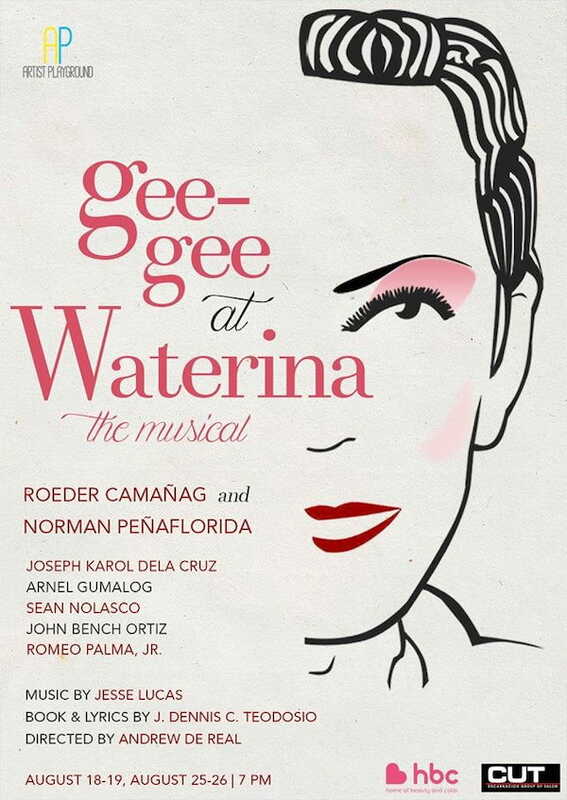 Artist Playground will stage a new original Filipino musical, Gee-gee At Waterina, based on the fictionalized retelling of the friendship between two gay men, this coming August at Arts Above in Quezon City. The arts and performance company turns J. Dennis Teodosio‘s bittersweet tale of an evening in the life of a flamboyant city councilor and a sentimental comfort gay, into a musical to be directed by “King of Comedy Bars” Andrew De Real. The musical runs on August 18, 19, 25 and 26, 3 p.m. and 7 p.m. at Arts Above, Artist Playground II, West Avenue Building, 112 West Avenue, QC. For inquiries, please contact Kimberly Somoza at +63975-919-3179. 9 Works Theatrical and Globe Live presents Eto na! 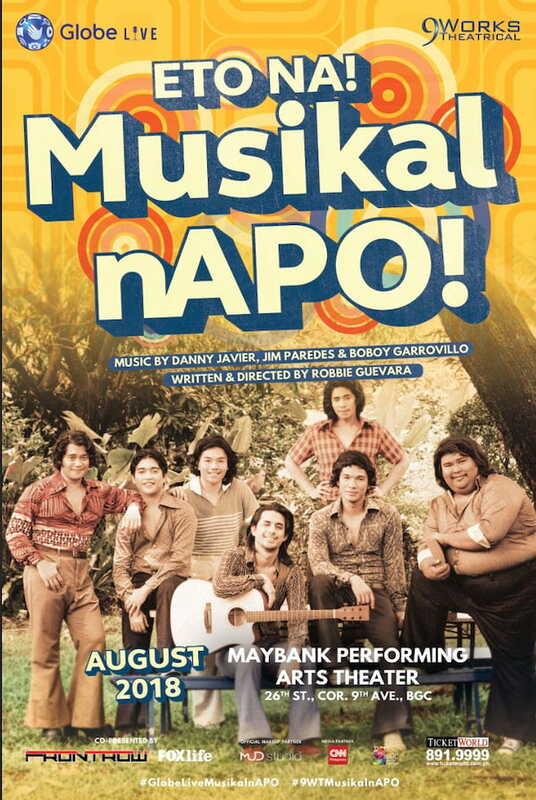 Musikal nAPO!, premiering at the Globe Theater, Maybank Performing Arts Theater in BGC this August! The musical will be running from August 3 to 26. Eto Na! Musikal nAPO! is a musical comedy centering on a group of friends who joins a singing and songwriting competition. 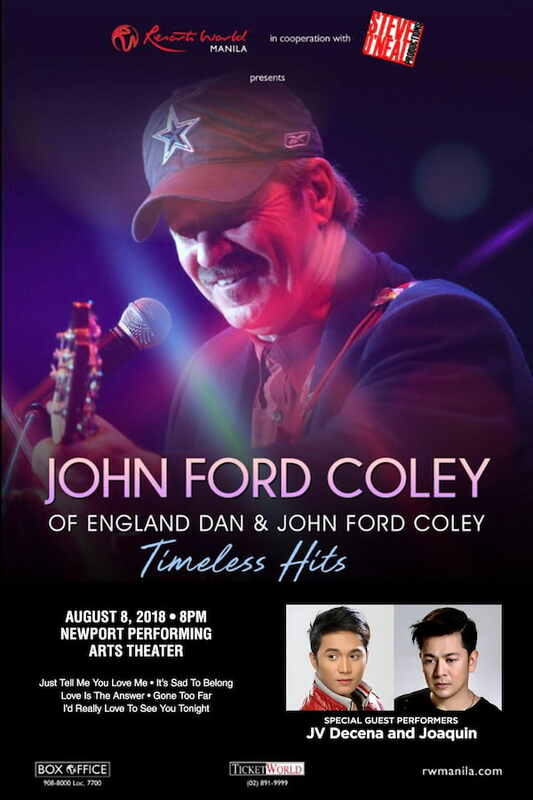 The group then faces the challenge of creating the perfect song - from writing the lyrics to arranging it - as they also have to deal with their own personal issues on love, family, and the political turmoil brought by Martial Law. The show is written and directed by Robbie Guevara, with music by Apo Hiking Society's Danny Javier, Jim Paredes, and Boboy Garovillo. Rockwell’s hottest sunset street party is coming to Santolan Town Plaza on August 25, 2018! Get ready to put on your most festive garb for Brasilipinas—the annual celebration that brings together the best of Brazilian and Filipino cultures to the metro. 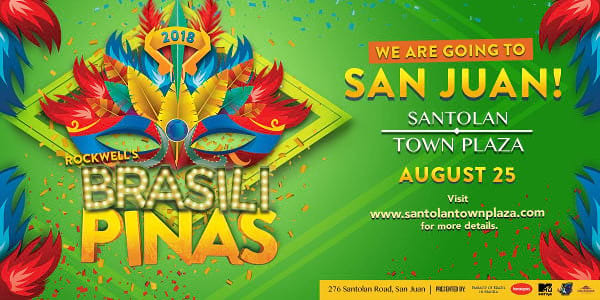 Brasilipinas 2018 is presented by the Embassy of Brazil, Sempre Capoeira, MTV Philippines, Havaianas and Organique Gcc. 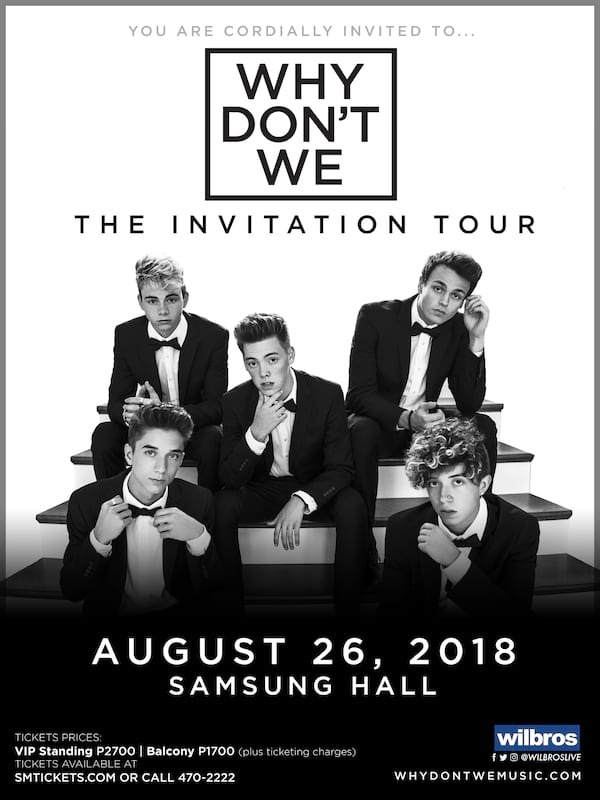 Catch WHY DON’T WE – Daniel Seavey, Zach Herron, Corbyn Besson, Jonah Marais, and Jack Avery – up close and person in Manila at the Samsung Hall. Tickets on-sale on Friday, May 25 via SMTickets.com or Call +632-470-2222. Irish boy band Boyzone is going on their 25thAnniversary Tour, after which, the group will split for good. Manila date has been set for August 26, 2018 at the Mall of Asia Arena as confirmed by Ovation Productions. This is the final chance for their millions of Filipino fans to watch them perform together. 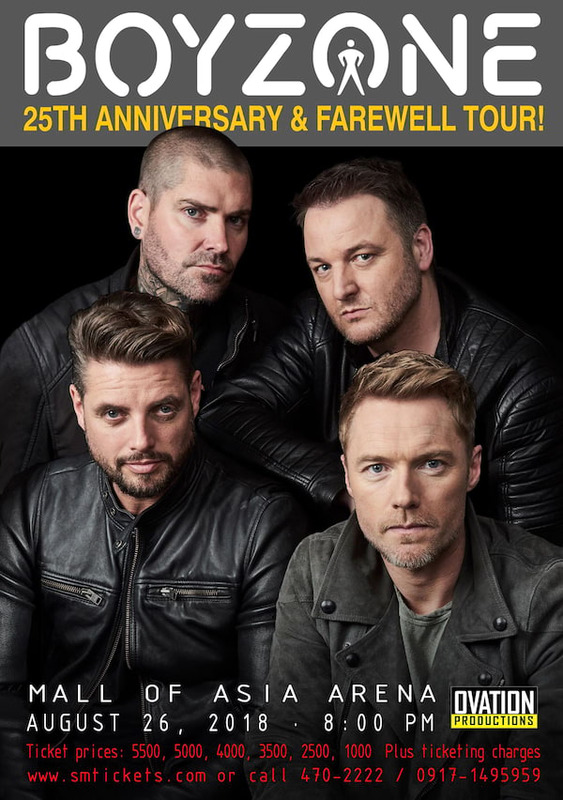 Boyzone 25thAnniversary & Farewell Tour tickets are available at SM and online through smtickets.com starting Thursday, 5 July 2018. Ticket prices are P5500, 5000, 4000, 3500, 2500, 1000 plus ticketing charges. For info call +632-470-2222 or +63917-149-5959.